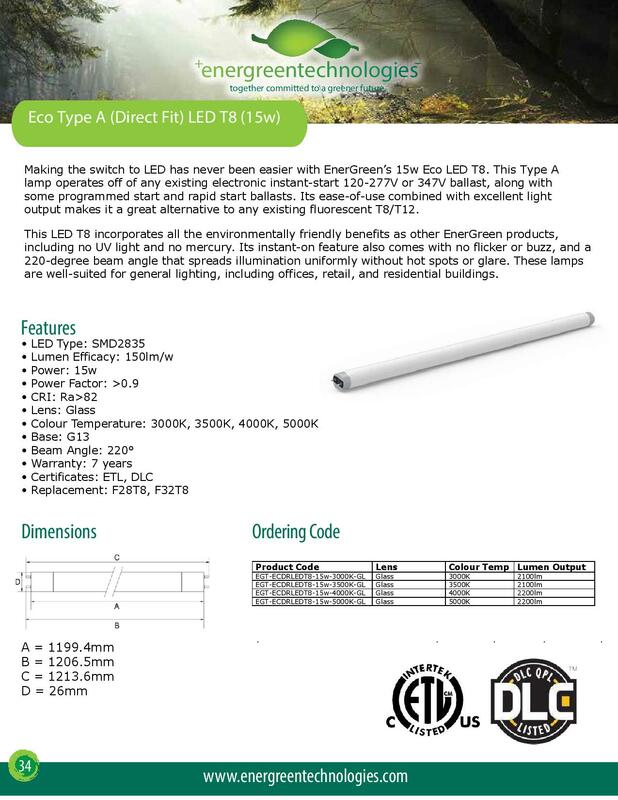 EnerGreen’s 15w direct replacement LED T8 does not require any re-wiring to install. 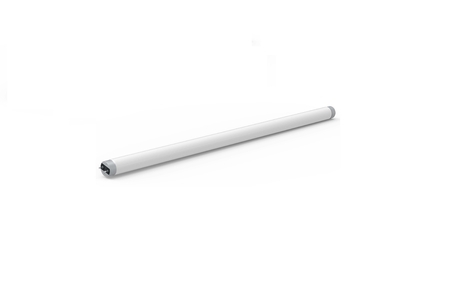 The lamps work with existing fluorescent T8 lamp fixtures and instant-start ballasts. 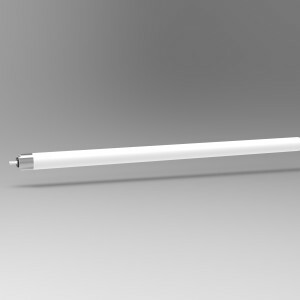 Using one third of the energy of existing fluorescent T8s, the lamps carry a low lumen depreciation, maintaining brightness over its 50,000 hour rated life. 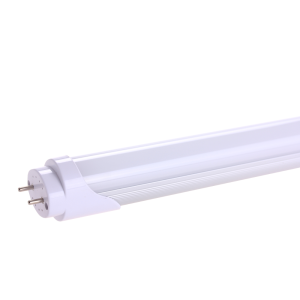 EnerGreen’s 15w LED T8s are well-suited for offices, retail, and residential areas! 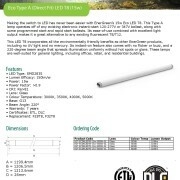 EnerGreen’s 15w direct fit LED T8 is DLC 4.3 listed.